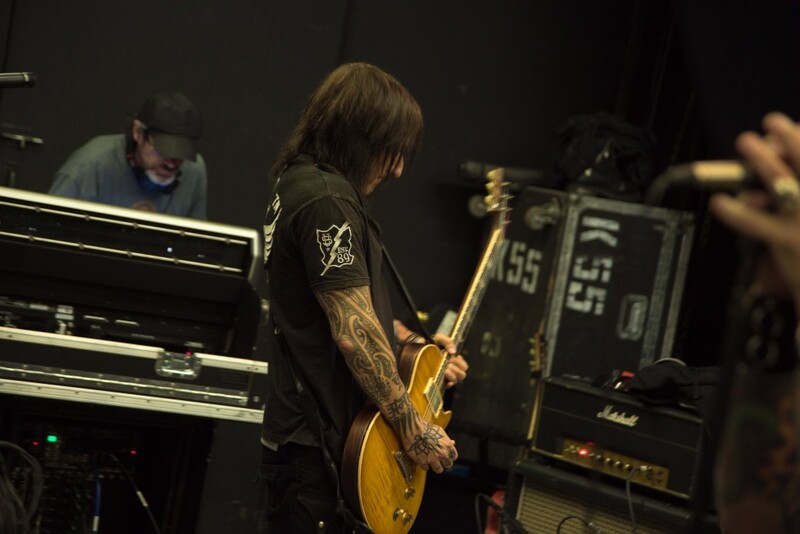 Richard Fortus joined Guns N’ Roses in 2001 becoming their longest serving new lineup guitarist and playing on GNR’s 2008 album Chinese Democracy. The St. Louis, Missouri native got his big break when his band Pale Divine opened for The Psychedelic Furs. In 1992 this led to Fortus forming the band Love Spit Love with Psychedelic Furs’ frontman Richard Butler and future GNR drummer Frank Ferrer. In 2000 Fortus and Ferrer became touring members of the re-formed Psychedelic Furs before Fortus became a member of Guns N’ Roses in 2001 with Ferrer later joining GNR in 2006. Fortus is currently promoting the musical collective supergroup The Dead Daisies’ new album Revolución. The Dead Daisies’ revolving lineup currently consists of lead singer John Corabi [Motley Crue], keyboardist Dizzy Reed [Guns N’ Roses], bassist Marco Mendosa [Thin Lizzy, Whitesnake], drummer Brian Tichy [Billy Idol, Foreigner, Whitesnake, Ozzy Osbourne], guitarist David Lowy, and Fortus who joined in 2013. I spoke with Richard Fortus for an hour mostly discussing Guns N’ Roses and The Dead Daisies. The following interview includes edited excerpts of our illuminating, entertaining conversion.